B.G. 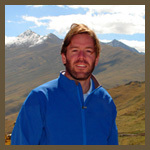 Stroh has traveled to Tibet and is an admirer of Tibetan Buddhism. He lives with his family in Northern California. Q:	How is it that you, an American, have written a novel that relates to the Tibetan struggle? A: Like everyone else on this planet, I’ve always been interested in this strange journey that we all share and the personal exploration for meaning. Eventually, that path made its way to Lhasa. My sister has been a practicing Buddhist for about 20 years, and the two of us made a first trek to Bhutan and Tibet about a decade ago. It was such a beautiful place. The landscapes, monasteries and people gave us a sense of the deeper meaning. We did the drive from Lhasa to Shigatse and to the Friendship Bridge at the border with Nepal. It is brutally rugged and alluringly peaceful. The trifling nuisances of meetings and bills and the mindless buzz of what you could call ‘Samsara’ really drop away and you are left facing timeless mountains, beautiful monasteries and ancient philosophies. Buddhism, as a philosophy, has always resonated with me--the sense of centeredness and the quality of thoughtfulness that leads to broader empathy and understanding. Since I was a kid, I was always more keen to go for a walk in the woods than participate in a more formal religious structure. So my interest in Buddhism and the idea of raising spiritual awareness combined with the inescapable tragedy of the current Tibetan situation is what really drew me in to Tibet and subsequently the Tibetan struggles of the Panchen Lama. Q:	What role do you think the United States should be playing in Tibet and China relations? A: We need to take a leadership role. My wish is that we can take some Buddhist principles to heart: first be aware; then take responsibility; and finally act. I’m not so naïve as to think that the current President would allow the Tibetan issue to take precedence over economic and social relations between America and China. But I think that we can no longer pretend that this human rights issue does not exist. It was inspiring to see the protests in Paris, San Francisco, and around the world when the Olympic torch passes its way around the globe. I believe that if everyone takes a personal stand, no matter how small a step, for what they believe in, then the collective power and sentiment can have enormous impact on world opinions and actions. That is exactly the journey the novel’s protagonist, Samuel, takes. From self-imposed naïveté to awareness and finally to action. After all, for my protagonist, doing nothing was a choice in itself. We cannot hide from that reality. Specifically, if I were the President for a day, here’s what I would do: Make a public request for dialogue between the Chinese government and the Dalai Lama’s congress in Dharamsala. Boycott the opening ceremonies of the Olympics, in a sign of disappointment. Put pressure on China to accept international aid organizations to have oversight over Tibetan freedoms (UN, Amnesty International); and signal that we will not tolerate abuses in Darfur, Tibet, or anywhere on the planet. Q:	Who is the Panchen Lama and why is he so important to the Tibetan people? A: It is a crazy and complicated story. First off – the Panchen Lama is sort of like the Vice-President (apologies to anyone that this offends) to Tibetans. He is a “Rinpoche” or reincarnate being that is continually re-born along side the Dalai Lama. In addition to presiding over the beautiful monastery at Tashilumpo, the Panchen Lama is one of the most revered spiritual beings for Tibetans, and is also is responsible for selecting the Dalai Lama. The current Panchen Lama was named in 1995 by the Dalai Lama. The six year old child was then kidnapped by the Chinese authorities and has not been seen since. The Chinese named a competing Panchen Lama of their own, with the intention of forcing themselves into the selection process for the next Dalai Lama, after His Holiness dies. For anyone who is interested in the story, Isabel Hilton wrote a book, The Search for the Panchen Lama, and also did a wonderful piece in the New Yorker about the politics of the Panchen Lama’s disappearance. Q:	How does the American dream and our culture intersect with Tibetan Buddhism? Can you illustrate some of these differences, maybe using your main character, Sam, as an example? A: There is a fascination with the timeless spiritual elements of Buddhism. It is an elegantly simple philosophy based on peacefulness, happiness and each person’s journey towards deeper meaning or even enlightenment. The teachings of the Buddha, including the eight-fold path and the four noble truths, provide the foundation for a personal journey (and our collective journey) to find truth and wisdom—to be happy and to make the world slightly better than when we found it. At this point in time, I think these things really ring true for millions of Americans. The cognitive basis for much of the world’s suffering is desire – and, for better or for worse, America is a capitalist society where desire and money play big parts. Buddhism can be a counter-balancing force for people who are not finding spiritual relevance fulfilling material and emotional desires. Tibetan Buddhism is also so visually beautiful. I walk around a Buddhist center, just south of Santa Cruz, called The Land of Medicine Buddha. The stupas, monks in crimson robes, and the monastery are all stunning. And Lhasa, Shigatse, Kathmandu or even Bhutan… these are some of the most beautiful places on the planet. Just being there makes you still and peaceful. There is a deep spiritual element to visual beauty and the beauty of nature. Finally, His Holiness the Dalai Lama ties together the spiritual elements of Buddhism with intense academic research and study (he has a strong interest in not just meta-physics but also very applied science, including neuro-biology and what happens in his brain when he mediates) and his obvious prominent international role as the political leader of Tibetans in exile. As winner of the Nobel Peace Prize yet a man who describes himself as “a simple monk,” he appeals to just about anyone. Who can resist that smile and infectious laugh? Q:	Why do you think the average American isn’t engaged or knowledgeable about the issues, despite the universality and popularity of His Holiness the Dalai Lama? A: It’s not easy. We have to take personal responsibility. It isn’t something tangible that we see or feel. It doesn’t directly impact our lives. Basically, it is the story of “The Dharma King.” Until we take personal responsibility for the world that we live in, and until we each follow our own hearts… nothing will change. But, that is my story. Q: How does your main character, a young man of great privilege, represent a personal coming of age and perhaps a hopeful nation coming of age story? A: The Dharma King is allegorical to the story of the Buddha. My protagonist, Samuel, is raised as a privileged child. He has every material thing that a boy could want, but is still unfulfilled in his own life, having been sequestered from the truth of suffering in the world. Not until he comes to terms with the reality of the world that he lives in is he able to take personal responsibility for himself and find his own path. On his journey to find the Panchen Lama, he falls in love and comes to terms with a deeper level of meaning in his own life. I hope that each of us can be our own “Dharma King” and follow our own paths by being mindful and aware. Q: How is it that you, an American, have written a novel that relates to the Tibetan struggle? Q: What role do you think the United States should be playing in Tibet and China relations? Q: Why do you think the average American isn’t engaged or knowledgeable about the issues, despite the universality and popularity of His Holiness the Dalai Lama?